Tuthill Cut Glass Company of Middletown, New York, worked from 1902 to 1923. Of special interest are the finely cut pieces of stemware and tableware. 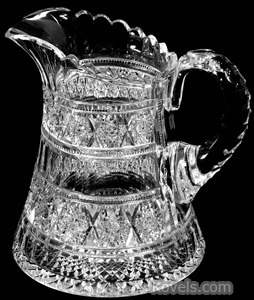 Tuthill glass was marked with an acid-etched signature since about 1910.